The midstream company Spectra Energy Corporation (Spectra) is planning to expand up northeast USA the Algonquin Gas Transmission (Algonquin) system and Maritimes and Northeast Pipeline (Maritimes) with the Atlantic Bridge Project in order to pipe the shale gas from the giant Marcellus and Utica basins into New England States along the Atlantic coast of USA. 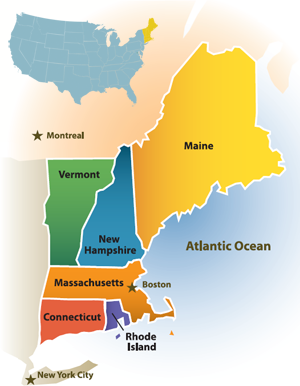 Covering the States of Connecticut, Maine, Massachusetts, New Hampshire, Rhode Island and Vermont, the New England Province holds one of the highest concentration of population in the USA. New England economic development requires more energy consumption and gas supply for power generation preferably to coal. In addition New England is strategically well located at the boarder with Canada and along the North Atlantic Ocean to provide USA with the shortest routes to export gas and condensate. 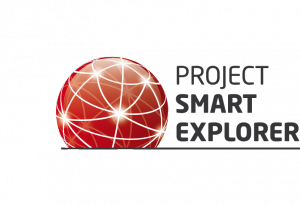 Considering the existing transportation system in place with Algonquin and Maritimes Pipelines network, Spectra sees in the Atlantic Bridge Project the most cost effective way to enlarge the gas distribution in the New England and Maritimes Provinces. The Atlantic Bridge Project paves also the way to Spectra for further expansion should any export opportunity would occur to do so through East Coast liquefied natural gas (LNG) Terminal projects. In 2014, Spectra completed the open season for the Atlantic Bridge Project, insuring the financing of the project with sufficient demands for gas transportation at the scale of the pipeline. From the volume of gas proposed through this open season to the potential for the future gas consumption in the New England and Maritimes Provinces, Spectra is planning to develop the Atlantic Bridge Project pipeline in phases from 100,000 dekatherm per day (dth/d) of natural gas to 600,000 dth/d. While to be developed in phases, the Atlantic Bridge Project will come in addition to the pending Algonquin Incremental Market project and will be completed by the Access Northeast pipeline project. 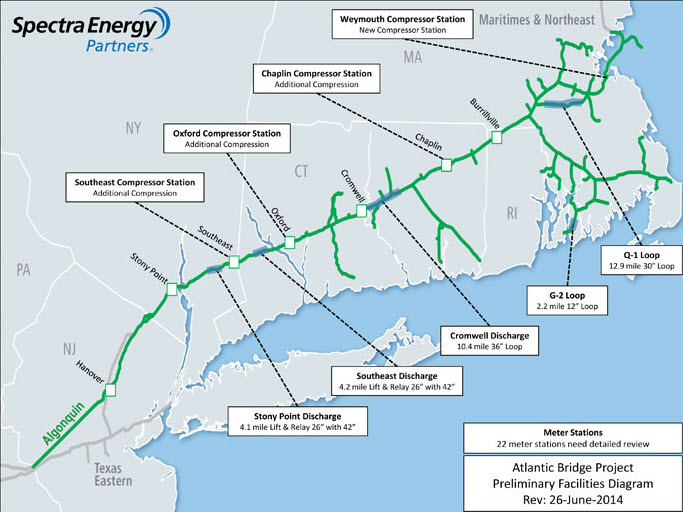 At current stage of the design the compression stations will be located in Southeast in New York State, Oxford and Chaplin in Connecticut, Weymouth in Massachusetts. For now the Atlantic Bridge Project is still at the evaluation phase with discussions on going with the land owners. With the Federal Energy Regulatory Commission still to be submitted, Spectra is expecting to run the first phase of the Atlantic Bridge Project on early 2018. To apply for Payday Loans In United States you don't have to seek the help of relatives or go to a bank. But it is worth noting that these tests were carried out on the blood cells. Therefore, it's too early to say about scientific evidence of Viagra Without Prescription influence on blood clots.